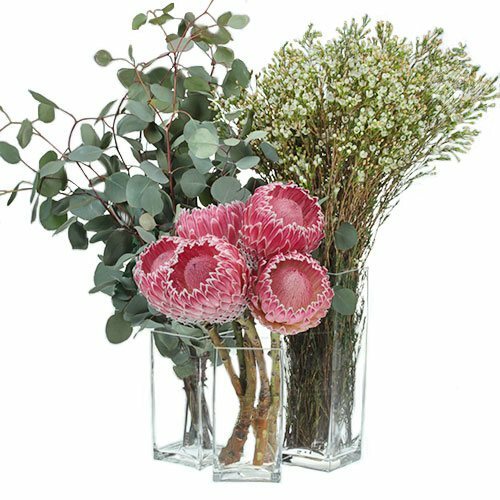 Add drama to colorful bohemian events with Impressive Protea DIY Combo Packs. 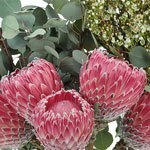 This pack includes bright red protea blooms and white waxflower, which are perfect for adding unique color and texture to arrangements. Silver dollar eucalyptus greenery is also included to help add depth and contrast. 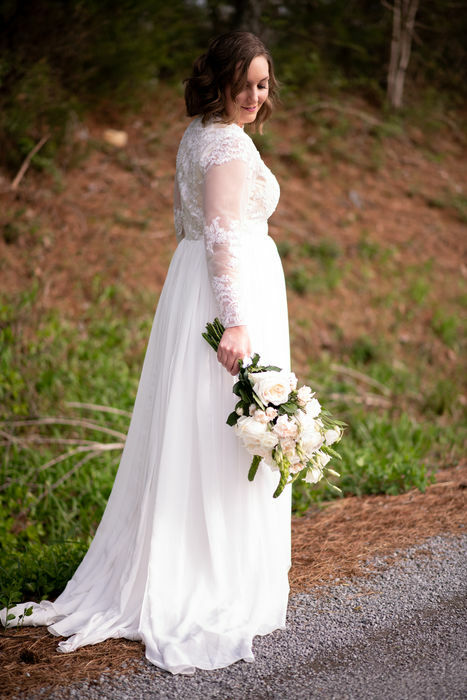 Use alone, or pair with blooms like red charm peonies and blushing bride protea flowers for a stunning boho-inspired wedding. A growers bunch is typically between 6 to 8 stems per bunch. This pack is not preassembled; follow the Flower Care tab to process the flowers and greenery prior to arranging. *Variety of Eucalyptus may change based on the season and availability. Bulk flowers are shipped directly from our farms to your doorstep. Before shipping your flowers, we prepare them for their journey with proper hydration methods. If your flowers appear sleepy and thirsty after their journey, it is absolutely NORMAL. Just follow these simple steps to ensure your flowers have the proper care. Gather buckets or containers for your flowers. Ensure your buckets or containers are very clean. We recommend rinsing them with warm water. Remove any foilage that would fall below the water line. Leaves below the waterline may mold and rot, causing bacteria to form, shortening the life of your flowers. Using sharp flower shears or scissors, cut stems diagonally under cool running water. Cut about an inch off of each stem. Continue this process until all of your flowers are in water. Do not overcrowd your containers. Overcrowding may damage stems and blooms and effect the proper blooming.